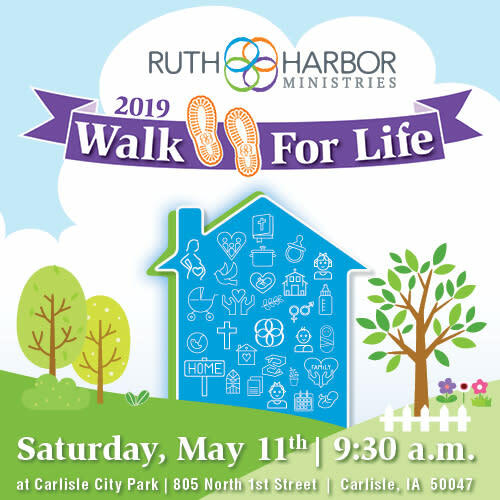 Join us for Ruth Harbor's 14th Annual Walk for Life on Saturday, May 11, 2019. Walk to change the lives of young moms & their babies! Registration begins at 9AM, the Walk begins at 9:30AM. This event is free and all ages are invited. Bring your whole family! Increase your impact - become a Sponsored Walker! Help us reach our goal of 250 Sponsored Walkers each raising $250+! Register online at www.RuthHarbor.org. - It's just 1.2 miles...everyone can do that! - Small time commitment...1 hour on a Saturday morning. - Great, new location. 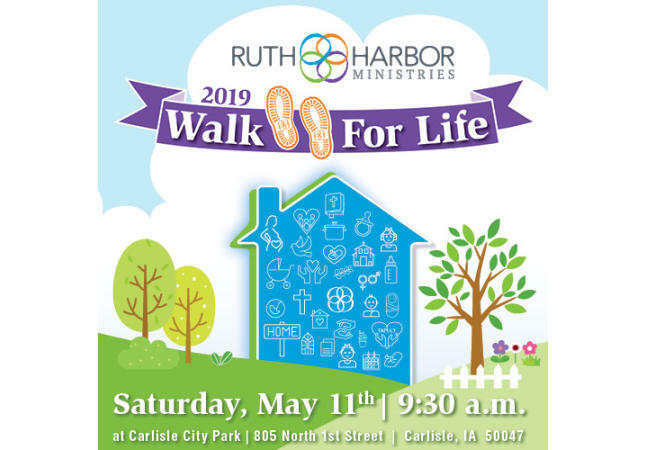 Tour our Carlisle home during the Walk! - Collecting pledge payments is easy, Ruth Harbor helps. - Fundraise any amount & receive a free Walk For Life t-shirt. - Register by May 1st & be entered into our prize drawing! - Can't walk that day? No problem, walk when and where you can. - Raining? Bring your umbrella!